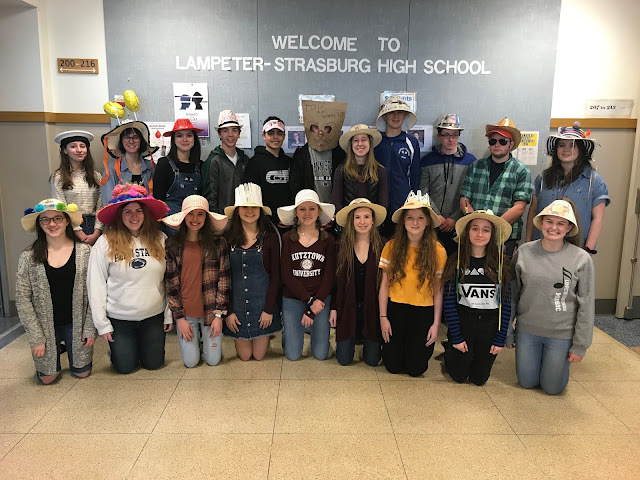 Yesterday, the Lampeter-Strasburg High School Thespian Society inducted 12 new members. 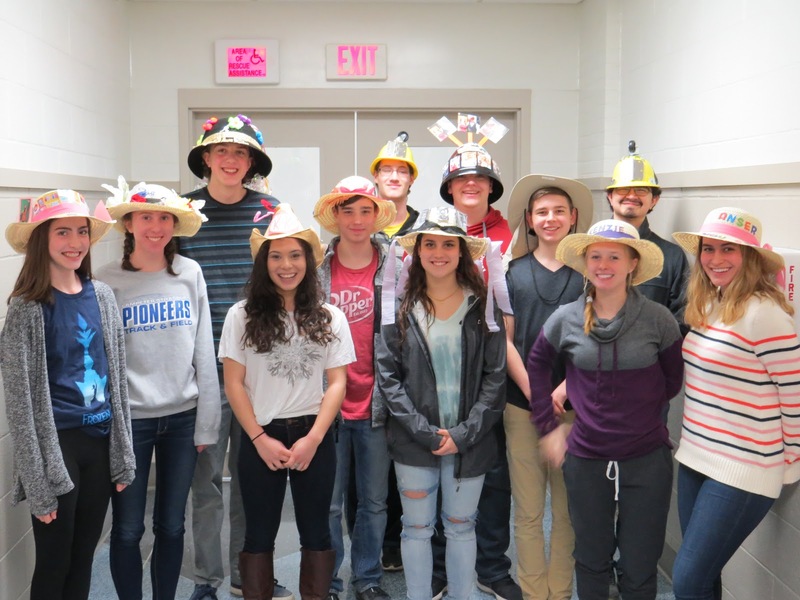 In a time honored tradition, inductees are given crazy hats to wear. New members include Ansley Yost, Kyle Johnson (missing from photo), Kenzie Krebs, Gabe Sanderson, Julie Stinson, Joey Long, Joel Lapp, Melissa Long (missing from photo), Josh Chambers (missing from photo), Jessica Heisey, Jarrett Emmerling, James McMichael, Ellie Crumpler, Katrina Herrera, and Luke Broderson.